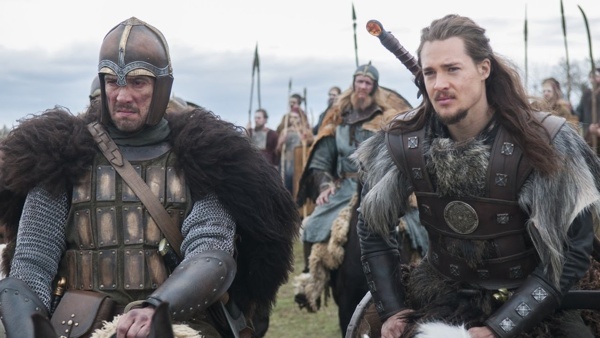 I’ve been watching The Last Kingdom, a historical fiction series set around the time of Alfred the Great and the formation of a unified English kingdom in response to invasions by the Vikings. It’s hard, sometimes, to just watch a series like this without running to the internet to look stuff up. One of the many things I’ve learned from this entertaining show and related internet journeys is about the fyrd, an Anglo-Saxon army that got called up when things were about to be attacked. It usually had a few experienced soldiers and then a whole bunch villagers and farmers. We need a fyrd right now. We need to organize and we need to fight proposals on the table in the United States to eliminate the nation’s programs that support the work of science centers and museums, spur innovation through competition, attract multiple times the grant amount in matching funds from other donors, and inspire the scientists, engineers, doctors, astronauts, and informed citizens of tomorrow. We must act together to save the science education programs that benefit citizens in every state and Congressional district through NASA, the National Institutes of Health, the National Science Foundation, the Institute of Museum and Library Services, the National Endowment for the Humanities, the National Endowment for the Arts, and more. We need individual citizens ready and willing to contact their elected officials in the U.S. House and Senate and let them know why these programs are crucial at home. If you are ready to act and want to be added to ASTC’s legislative alert list for individuals (not representing your employer), please send an email to publicpolicy@astc.org. Thank you!